For decades, local politics were dominated by civic associations representing Montgomery County's oldest neighborhoods and led by a predominantly-white, predominantly-middle class segment of the community. This was okay when the county was mostly white or middle-class, but this model of representation has fallen apart as the area becomes more diverse. Civic association presidents can no longer claim to represent "the community" when much of it's being ignored. If you're a minority, an immigrant, someone making less than the median income, someone who lives in a townhouse or apartment, a renter, a transit user, or someone under the age of 55, you are likely unrepresented by your local civic activists. How do we bring these people to the table? Dan Hoffman has one solution. In 2005, he and his family moved in Randolph Hills, a neighborhood of modest 1950's-era houses in North Bethesda. Over the next thirty years, a small city will grow around the White Flint Metro station less than a mile away, and the Hoffmans - like many of the young families that have settled here in the past five years - look forward to the jobs and amenities it'll bring. Rockville Pike in White Flint today. What they found, however, was a civic association composed of retirees who'd lived there for decades and expected things to remain the same. It didn't make much sense while motels on Rockville Pike gave way to thirty-story towers and the local elementary school's website is in both English and Spanish. So Hoffman and his neighbors staged a coup, throwing out the association's board and bringing the community's new residents into the discussion. The newly reconstituted Randolph Civic Association is an anomaly in Montgomery County: thirty-something adults, busy starting careers and families, taking time to parse land-use plans and attend public hearings. 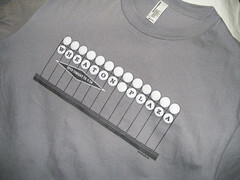 They walk and bike to the Metro and shopping. They like their yards, but they know not everyone else wants or needs one. They hold monthly meetings like any other civic group, but they're on Facebook, too. And when the Montgomery County Civic Federation - a once-influential network of community groups whose officers are past retirement age - scoffed at their enthusiasm for plans to redevelop White Flint, they dropped out. The Citizens League of Montgomery County (CLMC) is an individual membership organization seeking to bring new ideas and perspectives to the attention of County leaders. For those who care about positively participating in the development of policies that will shape our County for decades to come, it offers a vehicle to get involved on your terms. Using technology to its fullest potential to reach untapped pockets of activism in the County, CLMC hopes to facilitate the civic process for thousands of County residents. The goal is to help influence County leaders towards balanced, common good solutions. The League is not ‘pro’ or ‘anti’, right or left, but rather we seek to help individuals find that elusive third option, and bring it to the surface. The Board of CLMC is made up of individuals from all walks that believe in this and are looking to you and your guidance. Join the League today and become a Member Citizen. Being a member of the League is free and open to everyone. We’re excited about the potential ideas every individual in this County has to offer! By making memberships open to individuals, the organization allows people to join who aren't already part of a homeowners' or civic association. And eliminating dues means that money won't be a barrier for people of limited means to join. Being a part of any community group does require a time commitment, however, which may deter otherwise interested people from joining. These two features enable the Citizens' League to have a far more diverse membership - and with it, a far greater diversity of opinion - than any group like the Civic Federation could manage to assemble. That said, the group's current make-up could be more diverse, as its eight-member board contains just one woman and two people of color. Nonetheless, this group is an exciting development in local politics. I'd join if I wasn't moving in the next month, but I encourage you to become a part of the Citizens' League. Giving a voice to people who weren't being represented by our current community activists was one of the reasons I started this blog, and I'm glad to see a countywide movement to do the same. Thanks for this very interesting information. This association sounds like it could be a great outlet for a 'different' voice in county activism and politics. I'm going to read some of the links you included and will also post a link on my website. I look forward to learning more about Citizens League. Not a knock on diversity but most of the county is still white, and if it is anything other than middle class, it would be a surprise to me. In fact, it's richer now than it ever was before. According to the 2008 American Community Survey - a sort of yearly census - Montgomery County is about 54% white, though it's much lower for people under 20. 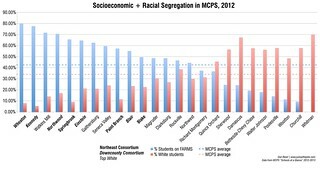 In 2009, only 38% of MCPS students were white. The county is well on its way to being majority-minority, and I wouldn't be surprised if the 2010 Census said we'd gotten there already. According to the MTA analysis of communities that would be serviced by the Purple Line, using year 2000 census data, over 17,000 people lived in the Silver Spring service area, they were 43% white, with a median household income of $47,000. This community needs more than only homeowner's associations to represent them - most who are below the $47,000 median household income are not able to own their own home. This post unfairly and erroneously stereotypes civic associations and their members. Every civic association I am familiar with holds regular elections and are open to every one in their geographic area. They hold outreach events, publish newsletters, and sponsor email groups. Officers are usually not retirees. The groups, however, do typically represent mostly homeowners and renters of single family homes and townhouses rather than apartment or condo dwellers. In that sense they may inherently represent a somewhat older and perhaps more affluent segment of our population, but that doesn't mean the groups are out of touch with modern reality or blindly self-interested. 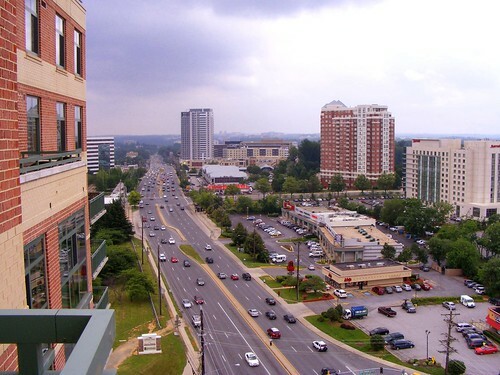 Downtown Silver Spring would never have been redeveloped the way it has been, for example, without the strong support of the surrounding civic associations for a concept much like what we now have rather than the "American Dream" megamall or a standard enclosed shopping mall spanning Georgia Avenue. By representing a small group of people within a small area, civic associations and HOAs are inherently self-interested. Witness the Sligo Park Hills civic association campaigning for rush-hour road closures that are overburdening streets in adjacent Takoma Park. Or the Tanglewood HOA having a Metrobus rerouted out of their neighborhood, meaning the loss of service to several surrounding neighborhoods. Or the North White Oak civic association's ongoing fight to keep affordable housing from being built in their neighborhood. Each of these - and there are plenty of other cases - are examples of civic associations and HOAs acting in their own interest. And as you pointed out, most civic associations and many HOAs represent mostly single-family home neighborhoods, meaning that a huge segment of the population has no comparable representation. Some civic associations work to improve the common good, like in downtown Silver Spring, as you note. But quite a few don't, and that's the problem. Dan, You said "Some civic associations work to improve the common good, like in downtown Silver Spring, as you note. But quite a few don't, and that's the problem." The real problem is that we don't all agree on what is "the common good." I agree with you that some civic associations sometimes take positions that seem to benefit their members more than my view or your view of what the common good would be. Virtually every other type of organization does the same thing, Organizations are generally formed to advance their interests. That's what democracy is about.